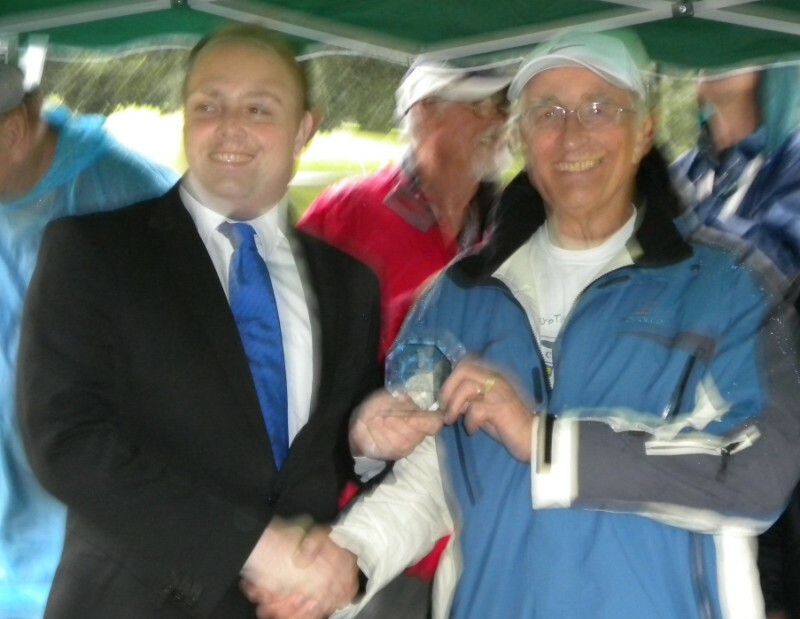 Close on the heels of both the Birmingham Open & the Footy Gold Cup the Bassett Lowke Open is held in Abington Park, Northampton. 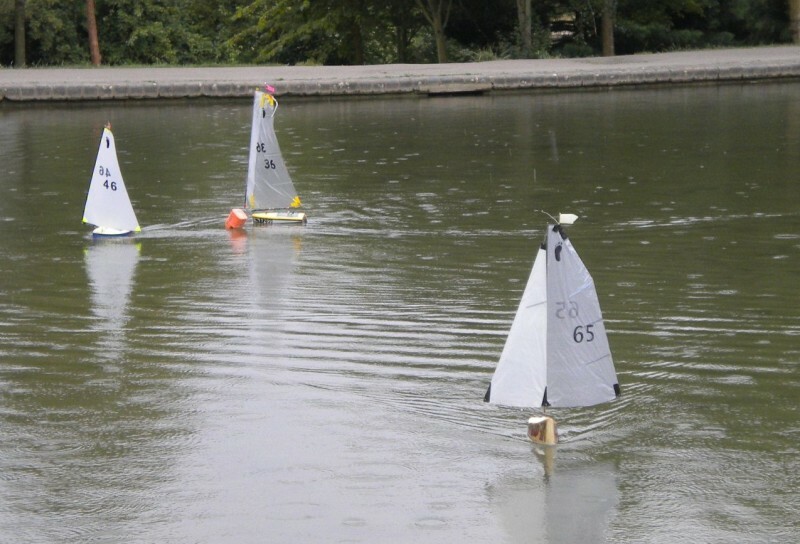 The park has now officially been awarded Green flag status and is one of the most beautiful city centre open spaces in the country, judging by the comments from other park users it is generally agreed by the majority that seeing our models sailing on the purpose built boating lake enhances their visit to the park. This years Bassett Lowke is also round six in the Midland Footy League an open competition series which runs from spring through to autumn, the standings at the top of this series are very close and going into this weekends race only three points separate the top four places. 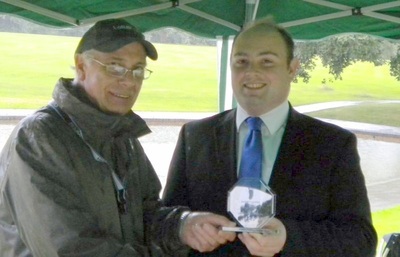 In addition to the overall prize The Dead Tree Trophy has been donated by Trevor Thomas to be awarded to the highest placed skipper sailing a non moulded hull. The idea being to try to encourage skippers to once again try to develop and build their own hulls albeit if they start from an existing hull design. So far Paul Risedale (53) has put together a string of consistent results and leads the competition. Peter Jackson (30) has sailed two hull types the Red Box and a Fat Boy Slim along with a couple of races using his carbon fibre Slim. Peter Shepherd (65) also initially used a carbon fibre Slim then in order to put some points on the board borrowed back a Razor3 hull he used two years ago, he finally got around to building the initial Fat Boy Slim in balsa planking which has proved most successful and a number of other skippers in the series now have the plans and have boats under construction. The predicted weather forecast was for a SSE wind 9-12mph moving through to a SSW 6 - 9mph during the course of the day, it was also predicted to be raining for most of the day, however apart from a minor shower just after we started the day was dry throughout the racing. 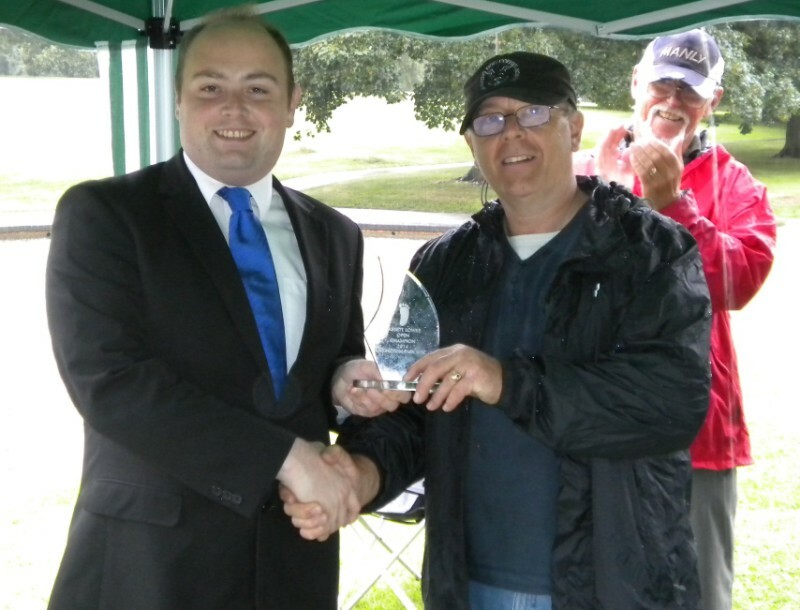 Unfortunately for our invited guest Cllr David Mackintosh of Northampton Borough Council the heavens opened just after we had finished and the shelter of the newly acquired Abington Park Gazebo was most welcome, although the magic properties of Granny Jays Gazebo were sadly missing. 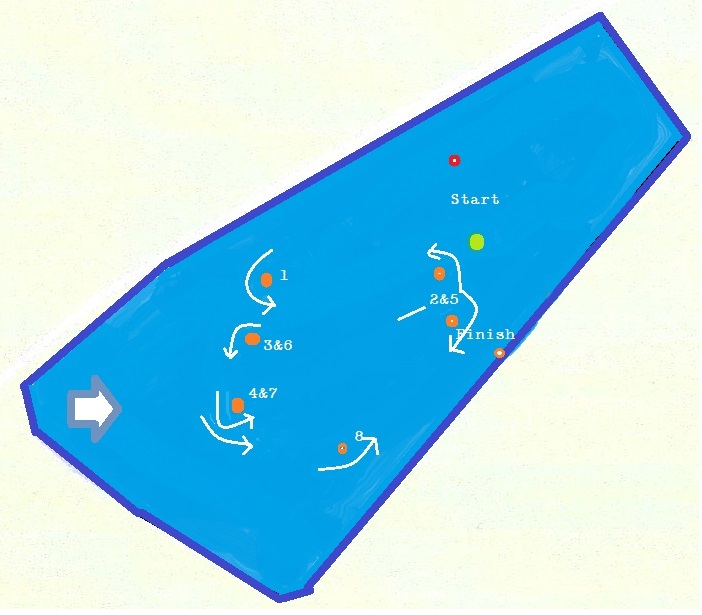 In the MFL, inspired by seeing some of the close and exciting racing in series such as the Extreme 40 we have recently started to set more technical courses still with a bias on windward/leeward but with a number of short legs and course choices thrown in. As it turned out the wind started light with most skippers starting on their top suits, it gradually increased so that we had a number of races in the middle of the rig size range and then towards the end we were back to Big Rig territory. Peter Jackson (30) his recently completed Fat Boy Slim on the water and early on it looked as if he was going to run out a winner first time out, unfortunately it appears that he was having a sail servo difficulty in race six which eventually failed in race seven, however he did manage to limp over the line his sails on backwards! Lunch was taken early in order to allow him time to switch cassettes. With his result today Peter Takes the lead in the Dead Tree Trophy. This left Peter Shepherd (65) another Fat Boy Slim to start a run of four race wins and then stay in the top two up until the final race where all that was left to do was cover Peter Jackson to ensure overall victory in the event. The racing was always close between the top four who coped with the early shifty wind conditions the best, David Wilkinson (46) Iambus2.8 (or is it 9) took a deserved third place with three race wins and a string of good results he managed to stay always in the frame, Mike Ewart (36) once again sailed his 1299+ consistently staying on his largest rig for almost all of the day only becoming over sailed on a couple of occasions. 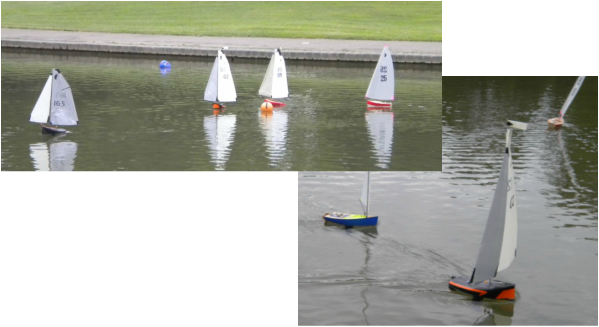 A technical failure in race 14 was soon sorted and he was once again the winner of the Sail Footy UK Novice trophy, consolidating his lead in that competition. The other four skippers all had a ding dong of a battle with Nigel Rudd (02) recently returned to the fold with his ICE coming out ahead, Nigel led race seven right up until the penultimate leg when Peter Shepherd managed to slip past and steal the victory. It was all very close between Sid Sims (05) Iambus2 and Brian Hawkins (165) ICE and if the truth was known Geoff Raygada (25) Cobraish wasn't very far behind either. 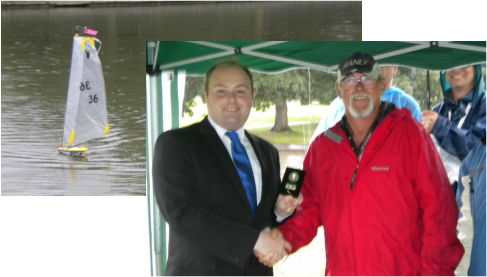 Our thanks go to David Mackintosh, Leader of Northampton Borough Council for presenting the trophies the deserving winners, to Tim Lees who came to see how things were going and got roped into being the result recorder which was much appreciated by all the skippers. 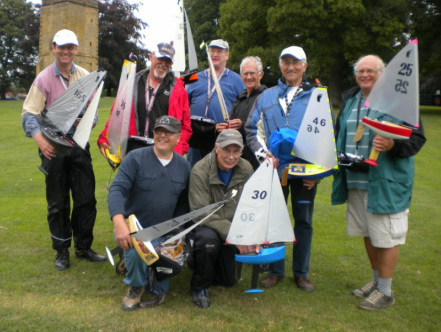 We also had a number of visitors Terry Miles & his wife who brought along a couple of beautifully built Puma 305's and wanted some advice as to sail set up, Norman and Sandra Hardy came to say hello, and collect some Micro 540 plans it was good to see Norman recovered from his recent illness. The next Footy Open is once again a round of the Midland Footy League and is scheduled to take place in Daventry Country Park on Sept 6th, however we are currently experiencing weed issues at the water and so the notice of race will be posted nearer the time, and there may yet be a venue change.